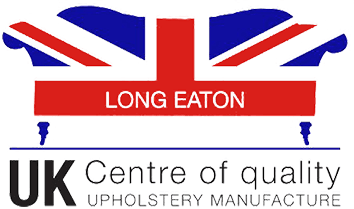 Our Long Eaton showroom is open to trade customers and their clients (when referred) by appointment only. It is over 5,000 sq ft set over two floors and is also joined to our factory, where you will be welcome to have a tour of our workshop and see our beautiful furniture being made. Visiting by Car: We have ample parking in front of the showroom. We also have very good road links and are close to M1 junctions 24 (from the South) & 25 (from the North), the M42 and the A50. Visiting by Train: For trade clients visiting by train, we can arrange a pick up and return from and to Long Eaton Station. Trains run regularly from/to London St Pancras and the journey time is typically 1 hour 50 minutes.